KUWK: Kim Warns Khloe To Kick ‘That Cheater’ Tristan To The Curb Or Else! 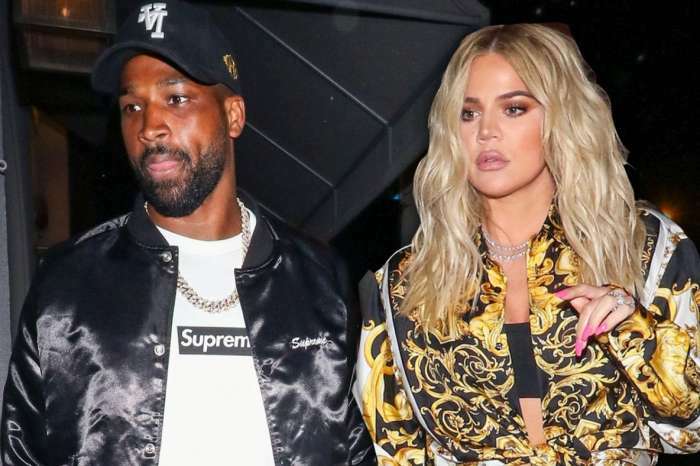 The entire reality TV family is super worried about Khloe Kardashian following her baby daddy’s cheating scandal. We hear that Kim, in particular, is telling her sister to not forgive ‘that cheater’ Tristan Thompson for what he did. Despite the fact that the new mother seems to be still very upset at the basketball player for not being faithful, apparently, the rest of the KUWK celeb family members fear she may listen to her heart and forgive him now that she had his baby girl. But after finding out that he allegedly cheated on Khloe with five different women, the Kardashians are disgusted and are not planning on letting Khloe give Tristan another chance. They just can’t handle that thought, especially Kim, who is supposedly livid about the whole drama. It may be a very difficult choice for Khloe who really thought she had found the one, but fortunately, her big family is here for her. Do you think Khloe should give Tristan another chance or do you agree with Kim and the other Kardashian-Jenners? Kim I love her as well but Tristan was set up big time they couldn’t get him sober they seen Khloe and him having a good loving time and they couldn’t stand too see that they had to get enough evidence aganist him and when they knew she was about to have her baby they attack her smh they waited until she got down on her back and they let loose I think her jealous Ex’s and haters tried to destroy them both but God is in this plan KARMA will return on all involve in this Khloe you won! Keep moving forward love your family thst Beautiful Baby and Man you have enjoy God Bless!